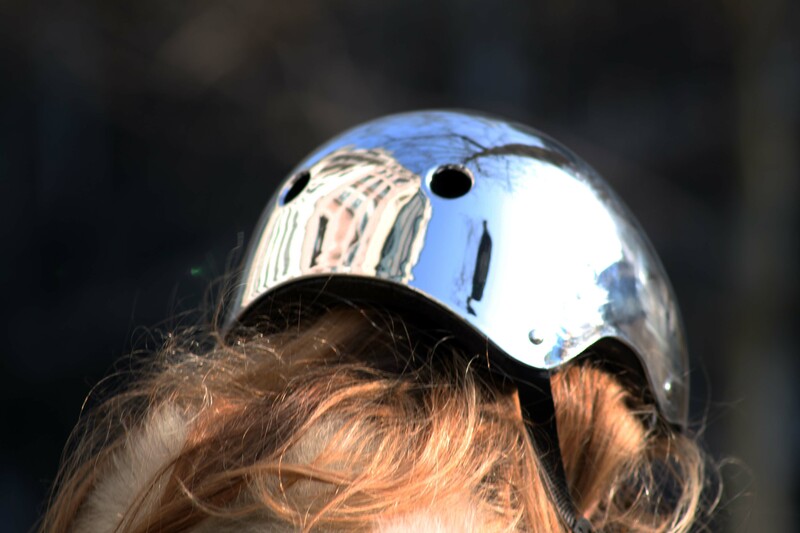 Sometimes while running from one side to the other something strikes your eye, it is not on purpose but there it is. 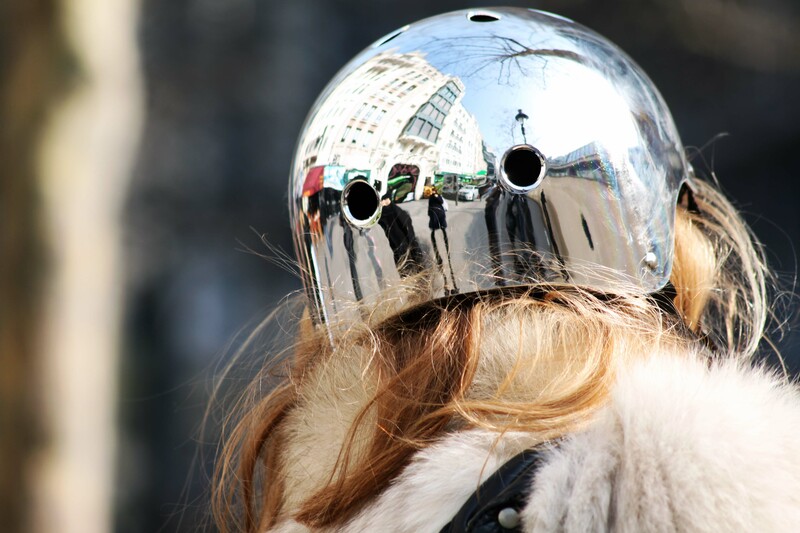 As I was going to the Dries Van Noten show last March I bumped into this girl and her amazing helmet, the reflection is simply amazing, you have a picture in the picture (the people, the buildings, the tree). Sometimes in life you have to see beyond of what you are use to, be curious, aware, observing, you will be surprised on what you can find. :).